realizing. Every day at least one online shopper prays for discounts on the products he or she covets. However, their prayers are only answered during festival season or whenever the website owners give them out. As such, discount coupons provided by websites like Elite-Deal Club is god’s gift to online shopaholics. Elite-Deal Club is a club that provides the best deals on the internet, exclusively to its members. The deals are mostly on, but not limited to, premium Amazon products. From branded kid’s toys to the hottest gadgets from the e-commerce giant, one can get all of them paying significantly lesser with the coupons from the club. On an average day, it gives out around 100-200 offers, available for redeeming three times a day. These offers are discounted starting from 50%, and if lucky, one can get a product completely free. However, the attention –grabber of Elite Deal Club is that it is free of cost, at most times. 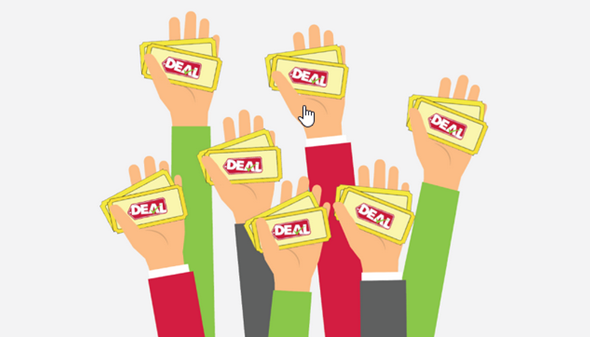 It is able to offer lucrative discount deals by partnering with top-Amazon sellers, who provide them with a limited number of coupons. These vouchers are, then, given away to the members through lots and draws. Although most deals are available for a few days or weeks in a row, some products sell out faster than others, and so one will have to quick to grab them when they can. Additionally, the Elite-Deal Club offers its members Amazon gift card ranging from $5 to $25. However, one can redeem it through contests like referral programs, etc. Aside from the regular deals offered to members on a daily basis, the club offers something called the Elite Deals. These are top of the line bargains limited in number, and one needs to pay an amount to avail them. The deal is for people who are motivated to buy a product but in exchange for a little fee. Moreover, this deal are only available to those who add their payment information on the Elite-Deal Club dashboard. To begin with, one needs to create an account on the Elite-Deal Club by linking their Facebook accounts to the website. Following which, one needs to create a username, and then, verify their account through email confirmation link sent to their inbox. The same will also confirm their subscription to daily newsletters, containing everyday deals, by the Deal Club. Once account creation is out of the way, one can, now, enter their dashboard which will have a “top products” section, where new deals go live at EST 10 am, 2 pm, and 8 pm every day. As the clock strikes at these three hours, remember to grab your favorite deals.